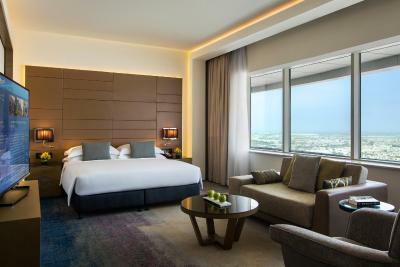 Lock in a great price for Towers Rotana - Dubai – rated 8.7 by recent guests! 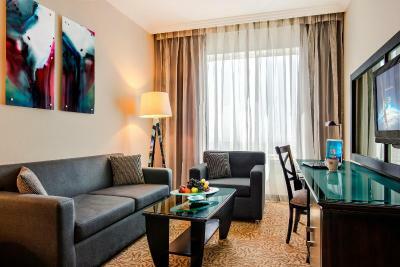 This was my first time staying at Towers Rotana and I was really happy with my stay and cant complaint of anything. From check in to rooms to breakfast to check out, everything was smooth and easy. 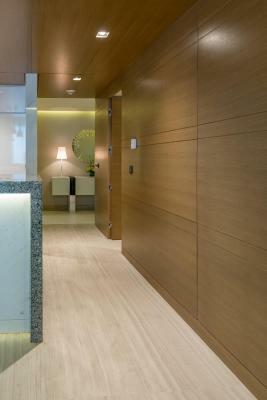 The staffs were really helpful and I should mention the room cleaning staff as I believe they do a wonderful job. I will definitely recommend this hotel. The Arabic coffee served in the lobby was tasty, however hygenic standards were poor with travelers encouraged to select dates by hand from a large container. Very poor standards. The hotel couldn’t have been any closer to the metro. Staff was super helpful and friendly. Room was clean and I think they check twice daily to see if you need clean towels. Perfect location, friendly staff, good breakfast, cleanness and confirt. Nice swimming pool and jacuzzi. Aileen and the other Girl are very helpful. (Grace) i think is her name. 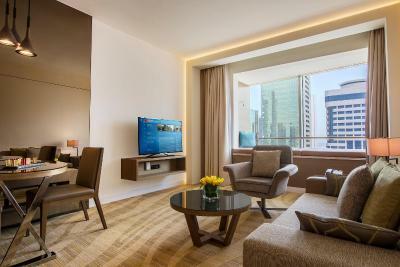 Towers Rotana - Dubai This rating is a reflection of how the property compares to the industry standard when it comes to price, facilities and services available. It's based on a self-evaluation by the property. Use this rating to help choose your stay! 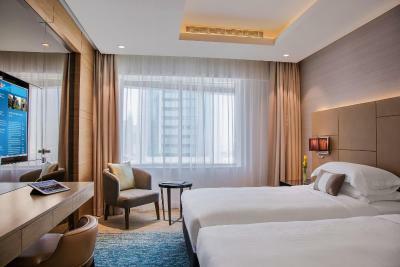 One of our top picks in Dubai.Towers Rotana is a 4-star luxury hotel on Dubai’s prominent Sheikh Zayed Road, located adjacent to the Burj Khalifa (the tallest building in the world) and 10 minutes away from Dubai Mall, Dubai International Finance Center and Jumeirah Beach. 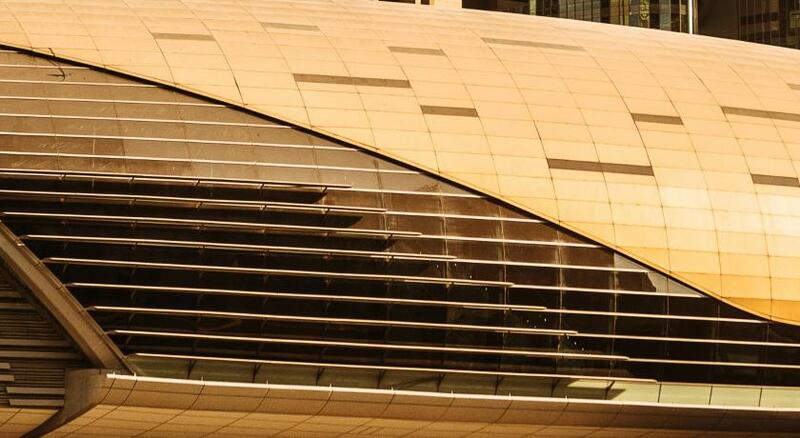 The hotel is located directly opposite Financial Center Metro Station. 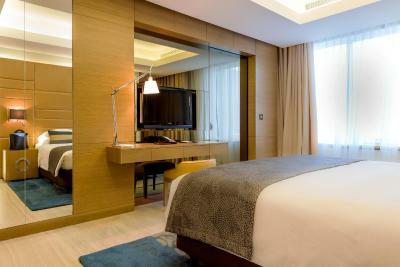 Towers Rotana features free WiFi in all areas, an outdoor pool with sun terrace and a state-of-the-art fitness center. 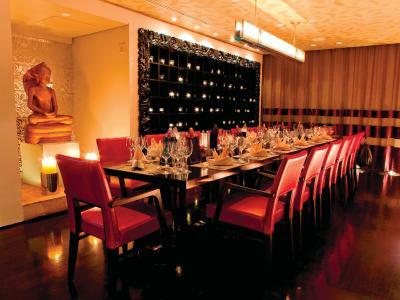 Dining options include the award-winning Teatro, which offers a variety of cuisine ranging from Japanese and Chinese to Indian and Italian. 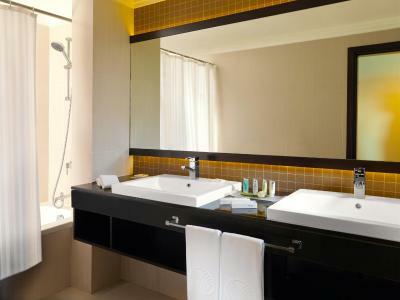 Guests can also enjoy 24-hour in-room dining and there is a pool-side snack bar. All Day Dining Restaurant "Flavors on Two" is open for buffet breakfast, buffet lunch and buffet Dinner of Theme Nights along with Friday Brunch. 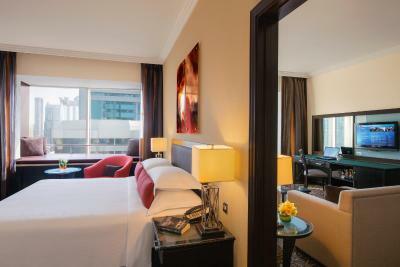 When would you like to stay at Towers Rotana - Dubai? The spacious room has 2 arm chairs and a work desk. 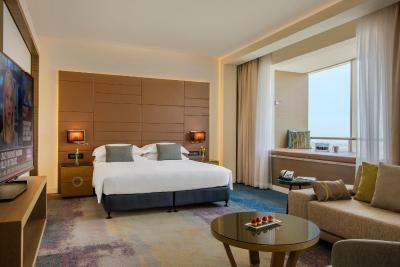 The room offers views of Sheikh Zayed Road or Jumeirah Boulevard. Smoking or Non-Smoking room is subject to availability upon arrival. 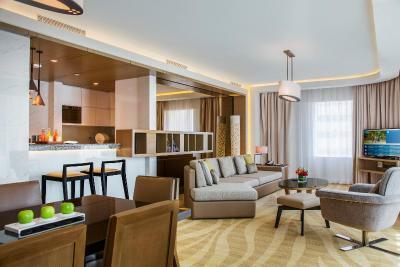 The spacious room offers a sitting area with a 2-seater sofa and arm chairs. 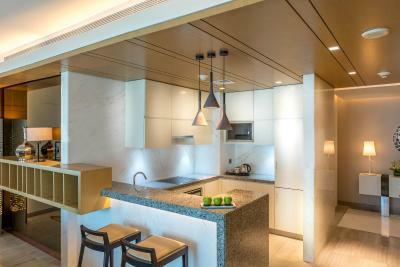 It offers views of Sheikh Zayed Road or Jumeirah Boulevard. 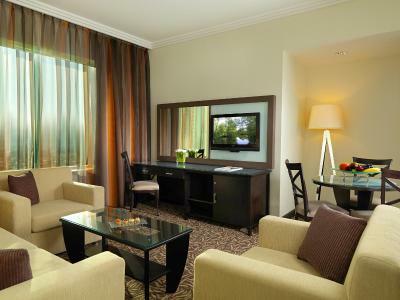 This spacious room has 2 arm chairs and a work desk, and offers views of Sheikh Zayed Road or Jumeirah Boulevard. - Breakfast daily from 6.30 a.m. to 11 a.m. in the lounge or at Flavors on Two all-day dining restaurant, Afternoon tea from 3.30 to 5.30 p.m.
- Complimentary tea, coffee, juices and soft drinks served throughout the day. - Evening canapes including alcoholic beverages from 6:30 to 8:30 p.m.
- Complimentary transportation service to and from Dubai International Airport. Children below 12 years of age accompanied with Parents can only access Club Rotana Lounge from 09:00 am to 05:00 pm during stay. 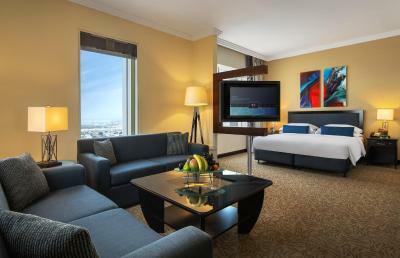 This spacious room comes with a leather window seat overlooking Sheikh Zayed Road or Jumeirah Boulevard. There are also 2 arm chairs and a work desk. 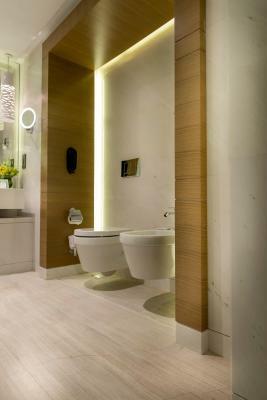 The large suite has a living room, a leather window seat and a spacious private bathroom. 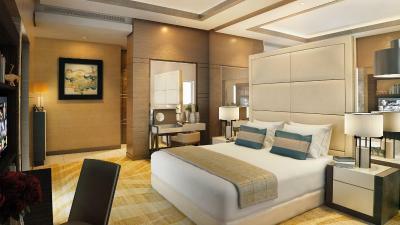 It offers views of Sheikh Zayed Road or Jumeirah Boulevard. This apartment features an extra Large Double bed, seating area, satellite TV and a bathroom with shower or bath and a bathrobe. 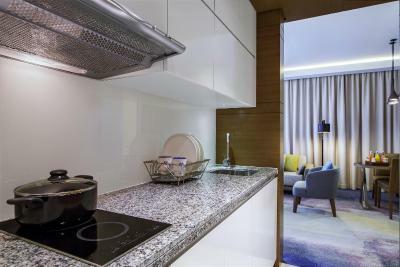 This 60 sqm One Bedroom apartment is divided spaciously among one master bedroom, a detached living room, a private guest toilet, a 42” TV along with an equipped kitchenette, and a stunning view of Sheikh Zayed Road. 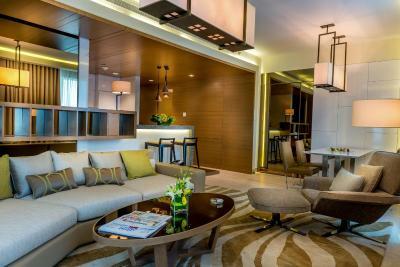 This 91 sqm Premium One Bedroom apartment is divided among one master bedroom, a living room, a private guest toilet, a 42” TV, along with an equipped kitchenette and stunning views of the coastal residential area, Jumeirah. This apartment has air conditioning, an extra Large Double bed, kitchenette and electric kettle. 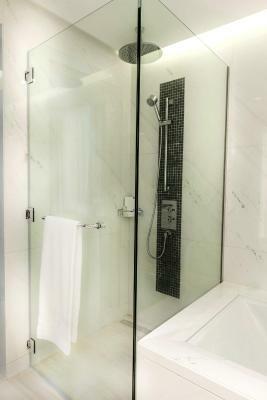 This apartment features air conditioning, an extra Large Double bed, kitchenware and bathrobe. 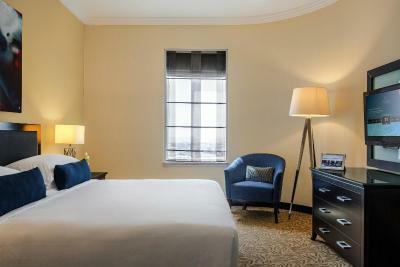 This suite features, sitting room and separate bedroom with king bed. 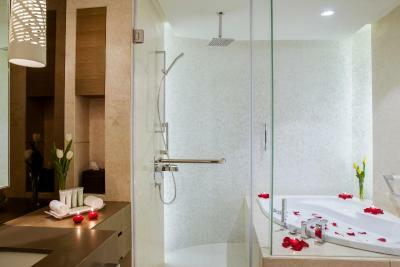 The suite has a sofa in the sitting room, TV, guest toilet without shower, the bedroom is attached with shower and bathtub. Smoking or Non-Smoking room is subject to availability upon arrival. 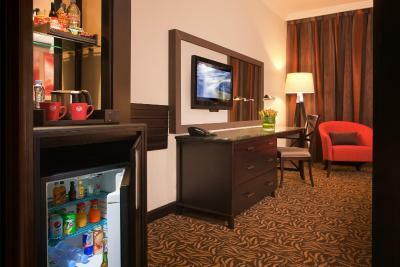 This twin/double room has a mini-bar, electric kettle and bathrobe. 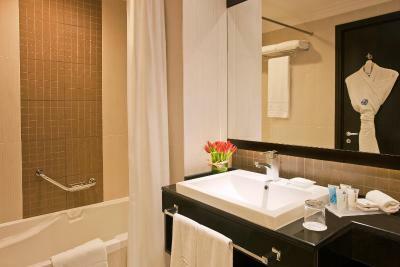 This double room features a bathrobe, executive lounge access and soundproofing. This apartment has air conditioning, mini-bar and bathrobe. 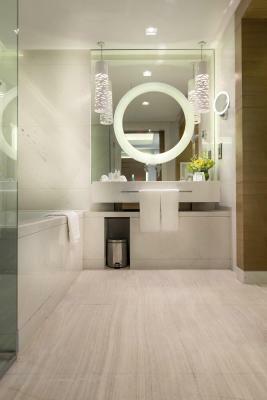 This suite features a mini-bar, bathrobe and tile/marble floor. 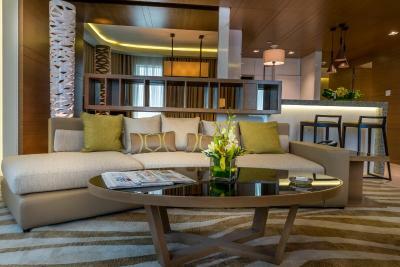 House Rules Towers Rotana - Dubai takes special requests – add in the next step! Towers Rotana - Dubai accepts these cards and reserves the right to temporarily hold an amount prior to arrival. Children under 12 years of age must be accompanied by an adult to access the Club Rotana Lounge. Children under 12 years of age can only access the Club Rotana Lounge from 09:00 until 17:00. Kindly note that in-room WiFi is available for an additional charge. For all flexible and semi-flexible bookings that do not require an advance deposit, a secure link will be sent by the hotel reservations team for credit card validation and pre-authorization of the value of the first night’s stay. Validation is required to be made 14 days prior to arrival date. In the event of cancelations or no show, the card will be charged based on the cancellation policy mentioned in your booking. I did not like reception attitude to customer. It is second time they try to accomodate me in smoking room that i dont prefer. Being a reqular visitor in the hotel i did not expect it. I think managment should consider such serious things into consideration. There is nothing what we didn't like. - View from our room to the World Islands. We had in our room front of the window something like a stage. It was so nice to relax there and just delight in view. 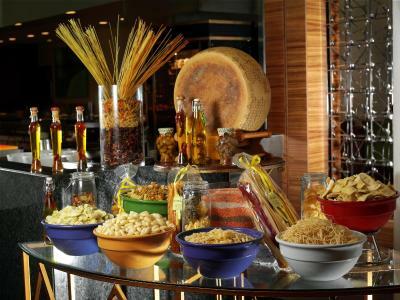 - In the Lounge Restaurant on 24th floor more than 100% service. Pauline, Sunshine and other staffs. We had been so happy with them. The food in the restaurant was great, the room was compact but had everything you needed. Breakfast was quick and easy great for a coffee and some fresh fruit.